Ready or not here it comes. . . it's the final countdown people. I think Reagan from Tunstall's Teaching Tidbits summed it up best when she called the problem at hand GR13C (Google Reader 2013 Crisis). But don't panic, you can still follow me by jumping aboard the Bloglovin' train. 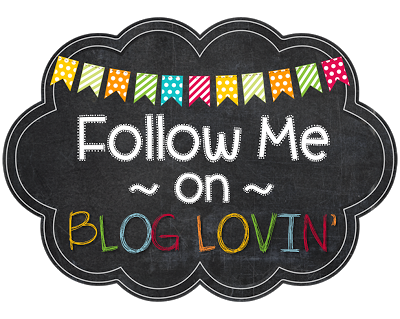 I want to say a big HUGE thank you to the super sweet Anna from Crazy for First Grade for letting me use her Bloglovin' button. Seriously. . . how cute is that button?? If you haven't already switched your blog over to Bloglovin' and you are as confused about this whole GR13C as I am then click here to read a post by Jessica from A Turn to Learn. She actually has several posts that you will want to check out. Well I'm off to do some blog stalking. Sound the trumpets, pop the champagne bottles and get the confetti ready. . . it's time for another Super Hero Saturday. 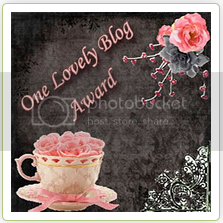 Once again I'd like to take the time to spotlight some of my all time favorite bloggers out there in blogland. Since I live in Florida, this week I'm featuring two of my fellow Floridians. Super Hero 1 is one of my go to kindergarten teachers Vickie from Mrs. Plant's Press. One day I want to take a road trip on over to see her classroom, she is AMAZING. Vickie's blog is filled with pictures of all of the fabulous things that she does in her room. If you are looking for some great common core ideas, look no further. Vickie is one of the first bloggers that I actually purchased a TPT item from and my kids LOVED it. 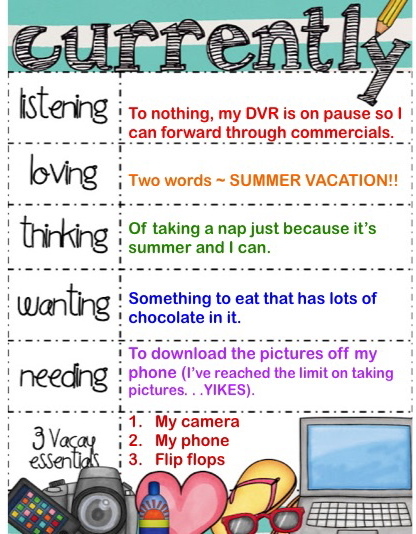 I have pinned anchor charts, math activities, reading activities, headbands ideas, and even cooking ideas from her blog. As a bonus if you follow Vickie on instagram you get to see lots of pictures of her adorable daughter. Super Hero 2 is actually one of the bloggers that I had the chance to meet last summer (click here) Denise from Sunny Days In Second Grade. Denise always has great common core ideas for the classroom and is starting to be one of my must reads when it come to using technology in the classroom. One of my favorite posts was when she recently talked about my new obsession ~ Instagram. . . click here to read her post. As always, she was spot on with everything that she wrote. Denise is super sweet, really talented and is one of my FAVORITE bloggers out there. Next year I'm looking forward to using her April Fool's joke with my kids and I can't wait to see what other technology ideas she will have to share. Speaking of Super Heros, one of my heros from last week (click here) Farley is hosting her monthly linky party Currently a little bit early. Last month I was tardy to the party (seriously I was link #493) so this month I'm not putting it off. . . here is what I am currently up to. My tip for blogging is actually something that I read on Farley's blog last summer that really stuck with me. Just be yourself when you blog. With my blog this is me . . . the things I like, the ideas I want to share the journey I am on. I hope that you can find some ideas that you can use in your classroom or in your personal life to help you along with your journey. Well I'm off to organize my closet (maybe). It's Friday so time to join up with one of my favorite linky parties Five for Friday with Kacey from Doodle Bugs Teaching. If you follow me on instagram then you have seen these pictures throughout the week. If you don't follow me. . . ummm hello you need to (click here) to follow along with my instagram obsession. Once again thanks to the brainchild of Michelle, I am rockin' this party hashtag style. So there you have it a quick peek into my summer so far. Be sure to come back tomorrow to see who I will be spotlighting on Super Hero Saturday. Well I'm off to check my instagram feed. Today I am linking up with the super talented Cara from The First Grade Parade for her linky party Throwback Thursday. The rules for this party are simple, re-post one of your old posts. The idea behind this party is pure GENIUS. 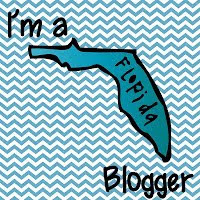 With all of the craziness of the school year I am sure that I have missed some great posts from some of my favorite bloggers in Blogland. This party gives us a chance to re-read some of these great ideas. Speaking of Blogland, this summer I decided to bring back Super Hero Saturday. This is when I take the time to give a special shout out to some of my favorite blogs. Today I am re-posting my first Super Hero Saturday post that I originally published on Sunday, October 14, 2012. I know, I know. 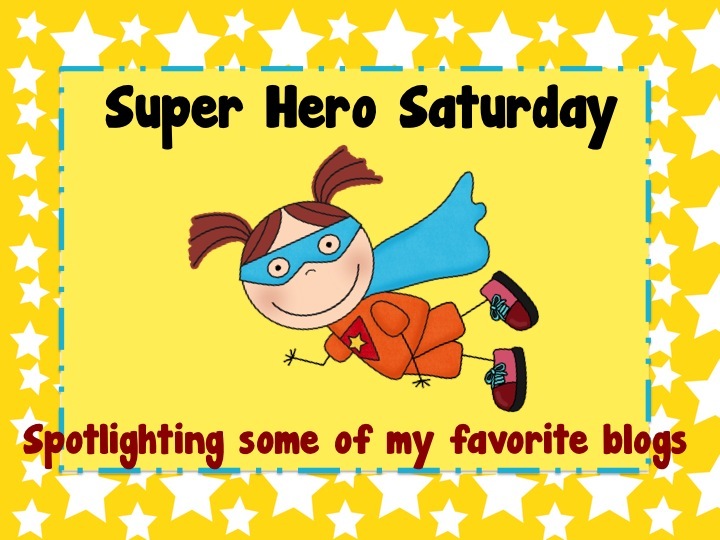 . . when I talked about having a day to feature my blogging Super Heros (click here for post) I thought it would be called Super Hero Saturday but thankfully Saturday and Sunday both begin with the letter S so I can fudge my post a little bit this time. Super Hero 1 is the very FIRST blog that I ever followed. I LOVE, LOVE, LOVE Mrs. Parker. I started following this blog back before I even knew what following a blog meant. Back then I just knew Mrs. Parker had some really great ideas and showed lots of pictures of her classroom. The look of her blog might have changed from back then but the content is still FANTASTIC. Mrs. Parker's blog is still one of my go to blogs for all things kindergarten. Super Hero 2 is one of my favorite blogs to check out when I need a good chuckle and a great idea. Kelley is so super talented and always puts a smile on my face. 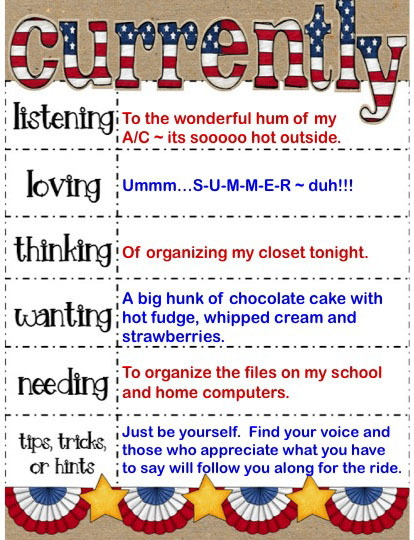 Her Rockin' Resources Linky Party is still one of my all time favorite ways to find new stuff for my classroom. The ideas that come out of that Factory of hers are so original and creative. Because of her blog, my kids will be participating in a Pen Pal exchange this year that I'm so excited about. Super Hero 3 actually got me to make a meal this summer using asparagus for the very first time. . .no seriously, I cooked a meal WITH ASPARAGUS. Susan is so over the top fabulous and her blog is amazing. I have pinned so many things from her that I'm thinking of creating a board just for T.G.I.F. I just purchased her Creating an All About packet and I can't wait to use it in my class. I'm also going to be passing out her inventive spelling freebie to my parents at our upcoming conferences. Super Hero 4 is one of the sweetest bloggers out there. Michelle has so many great ideas that she uses in her classroom. I just started using her 10 Frames Fall counting activity with my kids and they love it. This summer I emailed Michelle to find out where she purchased this super cute dry erase board and she offered to mail me hers for me to borrow for my class. . . see what I mean ~ how nice is that. Super Hero 5 is another super sweet blogger who I actually met (click here for previous post). Caitlin's blog could be renamed "Caitlin Smiles" because she was so upbeat and positive and is willing to share so freely. If you are looking for some great common core activities for your classroom this is the place to check out. Because of her blog my kids are going to be learning All About Bats for the next few weeks ~ how cool is that? Well there you have it, in random order. . . five of my all time favorite blogs. If you haven't visited these blogs go check them out, I PROMISE you that you won't be disappointed. Be sure to check back next Saturday (or Sunday) to see a list of some more of my Super Heros. SHINE on everyone! Today is the official FIRST DAY OF SUMMER!!!! I found out through Instagram this week that some stores already have their Fall and Christmas decorations on display but that is a whole different post. I am now officially on Summer vacation. . . can I get a woop, woop??!! My last day at school was on June 5th but I've been teaching a PD workshop for the past two weeks so I've still been in what my friend calls "teacher mode". Today that came to an end, my alarms clocks are off, and my break is beginning. With all of this time on my hands I actually can join up today with Kacey of Doodle Bugs Teaching for her party Five for Friday and I'm posting ON FRIDAY. This week all of my pictures are from the SEA Lab workshop that I was teaching with these great ladies. Every summer we get to work together and even though I am one of the facilitators, I always come away with some great new teaching tips. I'll be posting about this workshop soon. Here are my five pictures from SEA Lab this week. Once again I'm rockin' this party the way Michelle from Apples and ABC's would ~ we're rolling these pictures out hashtag style. So there you have a sneak peek into my week. If you would like to see some more pictures from our workshop, you can find them on Instagram by clicking HERE. Use the hashtag #SummerSeaLab (all lowercase) and you will see some of the other pictures I've posted over the past two weeks. Don't forget to come back tomorrow for Super Hero Saturday. All summer long I will be posting about some of my favorite bloggers. If you would like to see my previous posts click HERE and HERE and HERE. I hope to see you on Saturday. Well I'm off to enjoy my first day of freedom. SHINE on everyone. Today I bring you Picture-Pa-Looza. 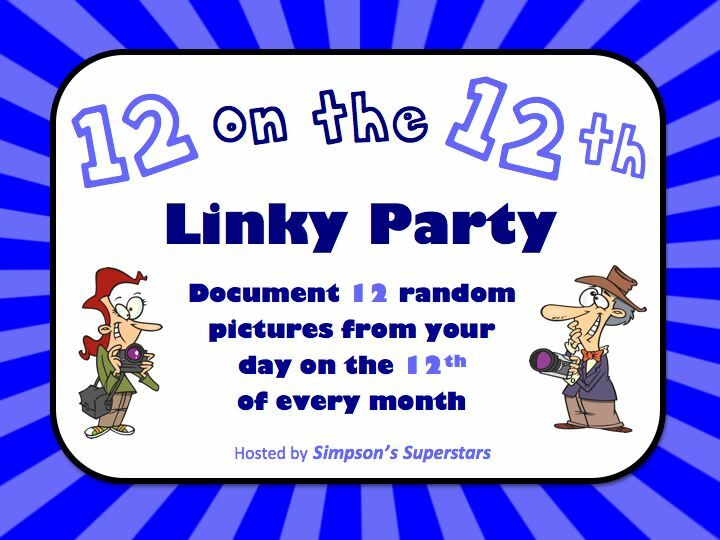 I'm posting all of my pictures from the 12th of the month to go along with my 12 on the 12th Linky Party. 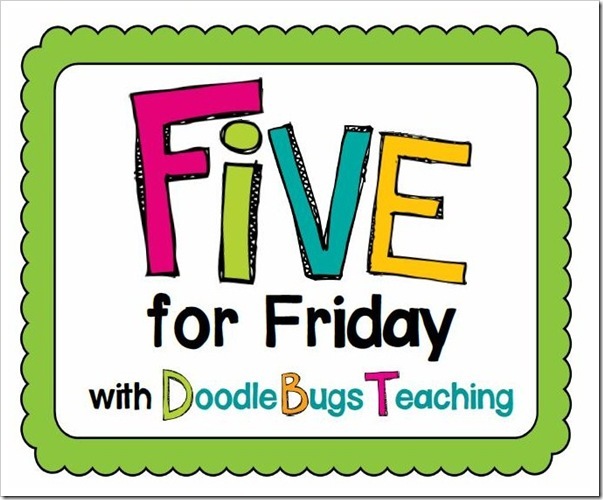 I am also linking up with the Kacey from Doodlebugs teaching for Five for Friday. Since I have a bunch of pictures to post I am going to rock this party the way that Michelle from Apples and ABC's would ~ hashtag style. So there you have 12 random pictures from the 12th of the month. Most of these pictures where taken during the SEA lab workshop. This has been such a FANTASTIC experience and I promise to post about it soon. During our debriefing session on Wednesday I discussed where I find many of my ideas for the classroom ~ Pinterest, Instagram and blogs. When one of the teachers asked me to name some of my favorite blogs I hesitated because that's like asking me to pick my favorite Sting song ~ ummmmm trust me. . . we'd be here all night. 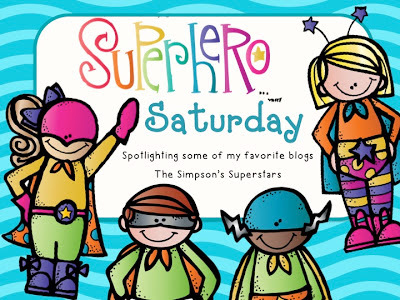 So in an effort to shine a light on some of my all time FAVORITE blogs, I'm bringing back Super Hero Saturday. Be sure to swing by this summer to read about some of my all time favorite bloggers. 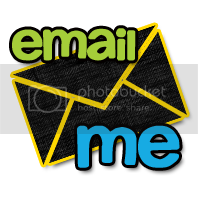 If you would like to read some of my past posts click HERE and HERE and HERE. Hope to see you next Saturday. Well I'm off to plan for SEA Lab. SHINE on everyone. I AM OFFICIALLY FINISHED WITH MY SCHOOL YEAR (sort of). For the next two weeks I am teaching a math / reading / common core workshop so I am working Monday - Thursday from 7:30 - 12:30ish but by next week I will be done. . . YIPEE!!!! With all the craziness of the end of the year and getting ready for this workshop I TOTALLY lost track of time. It wasn't until I wrote the date on the board today that I realized that tomorrow is the 12th of the month. Time to grab your cameras, cell phones or tablets and link up with my monthly party 12 on the 12th. Remember. . . you have three ways to connect with everyone on Wednesday. OPTION 3: Time for a little Spring Cleaning. Post 12 pictures of whatever you want to from any day, any month any year. Your pictures can be school related or personal it's up to you. I take pictures all the time that I want to use on my blog but for some reason or another, they never get posted. This is a chance to do a little cleaning up of your picture files. So there you have it, pick the option that is best for you and come back on Wednesday afternoon to link up. Well I'm off to charge my phone for tomorrow. SHINE on everyone. Well my feet hurt, my back hurts, my laundry is overflowing, I have papers piled all over my living room, I haven't posted in weeks and I've BARELY been on Pinterest that usually means one of two things. Number one, it's the beginning of the school year or number two, it's the end of the school year. Well as we all know it's the end of the year. . . can I get a WOOP, WOOP???!!??? 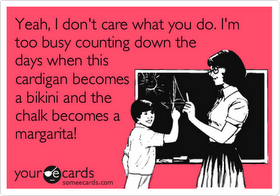 Truth be told you would not catch me in a bikini but this card always cracks me up. I am down to only three days left in the year. Monday I have my parents coming in, Tuesday is my last day with students and Wednesday is my post planning day. Between now and Wednesday I have to make a movie, finish my end of the year gifts for my kids, write thank you cards to parents, enter grades, do my report cards, fix my cums, prepare for a workshop I'm teaching, and pack up my room. WHEW, this is going to be CRAZY so I'm just popping in real quick to link up with one of my favorite parties. Time for Five for Friday hosted by Kacey from Doodle Bugs Teaching. Since I don't have that much time tonight I am going to post these picture the way Michelle from Apples and ABC's would ~ we are rocking this party hashtag style. There you have it my week in a nutshell. Before I head out I want to give a BIG, BIG, BIG shout out to Michelle for introducing me to instagram. 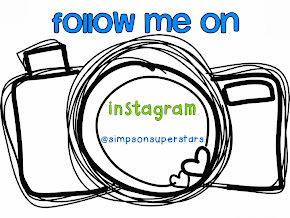 If you would like to follow me click this link #simpsonsuperstars or you can search for me by putting in SimpsonSuperstars (all lowercase). Well I'm off to make a class video. SHINE on everyone.